Riding the Tiger: The Cost of Divorce | Pittsburgh Family Law Services, P.C. 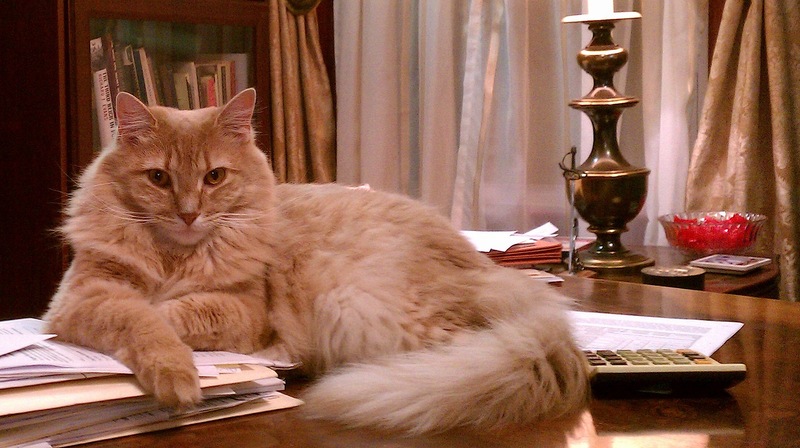 January 27, 2012 · by Pittsburgh Family Law Services, P.C. Calling a divorce lawyer for the first time is seldom easy. You may never have worked with an attorney, and divorce may be something you never imagined yourself having to face. Your head is probably filled with questions and concerns, worries and desires, and a will to square your shoulders and face whatever is ahead if you can find someone to watch your back. Above all, you are wondering: How much will I have to pay my lawyer? What does it cost to get divorced in Pennsylvania? It’s a good question. It’s a reasonable question. Unless your situation is very straightforward, though, it’s also probably the one question that your lawyer can’t begin to answer in any meaningful way. For anything beyond the most basic of services, there is simply no way to predict costs of divorce with any certainty. Anybody who tries to tell you differently has something to sell you, and you should consider taking a good close look before you buy. Abraham Lincoln famously pointed out that a lawyer’s time and advice are his stock in trade, and in most cases there are simply too many variables to permit your attorney to predict how much time your case will take. Will your case settle or go all the way to trial? Will we have to fight for every little thing? Is your estate complex? Are there many issues to resolve? Will your spouse see reason, or instead fight battle after pointless battle out of sheer spite? This uncertainty is why divorce lawyers work on retainer instead of quoting fixed fees. A “retainer” is nothing more than a fund of your money that has been put aside in escrow to ensure that your lawyer is paid for the time he will spend on your case. Usually, when the fund is depleted it must be renewed. Take a good look at the lawyer’s fee agreement before you sign it, to know what to expect. Lawyers want to help people, and we want to make money doing it. IOUs don’t cut it. The grim reality of law practice is that when lawyers work without a retainer, we turn ourselves into credit cards. Once upon a time I added up all the money that clients owed me and realized that I could have lived very well for a year on it. Anyone in business learns to count on people to pay for what they still need before they pay for what they already have, every time. Since I’m no fonder of working for free than you are, I changed my business practices. Everybody has heard jokes about lawyers and money. “It was so cold last winter, I saw a lawyer with his hands in his own pockets!” Lawyers aren’t cheap, but neither is running a business in a highly competitive professional field. We know what our service is worth, we know what we sacrificed to be able to offer it, and let’s be honest: lawyers don’t enter into private practice to be poor. What do you get for your money when you pay your lawyer? Your money’s worth, if your lawyer is ethical and knows what he is doing. You hire a legal professional because you have high expectations of skilled service for the fees and costs you pay, and you deserve to get it. 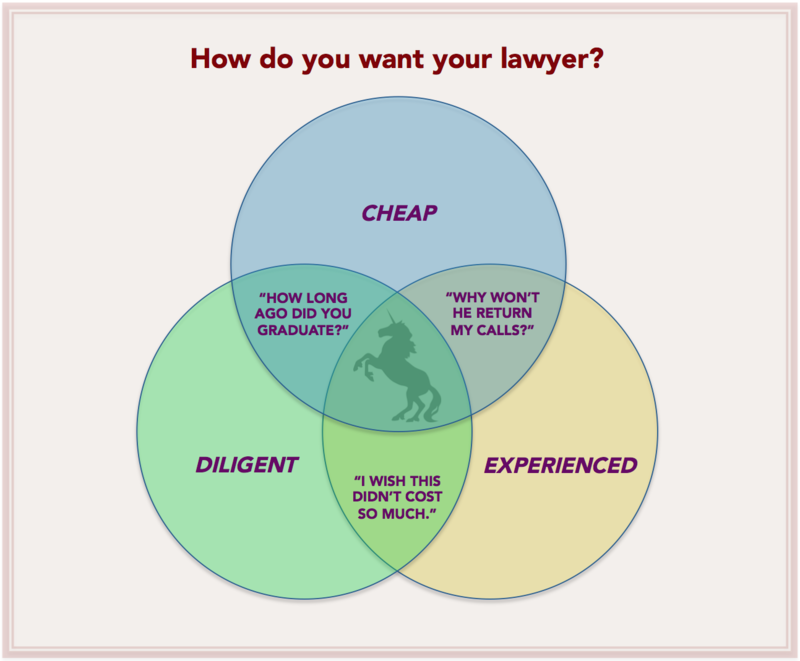 Below are some truths about lawyers and money, and some advice to help you get the biggest bang for your legal buck. I have already written about what you should expect from a good family law attorney, as well as what your attorney can expect from you. Be prepared to listen to advice, be prepared to take advice, and make sure that you partner with your lawyer rather than dropping off your case as if you were leaving your car with a mechanic. Ask about lower-cost options, or things that you can do yourself to reduce costs. … and ask early in your relationship. In my Pittsburgh divorce and family law practice, I offer clients three possible ways to reduce costs: (1) a client who is willing to become my “clerk” by doing some of the organizational legwork that doesn’t require a lawyer (such as gathering and organizing documents) will certainly save some money, (2) I give the work on your case to the person in my office who costs the least and who can still get the job done to my standard, and (3) I offer “unbundled” service, in which you will represent yourself in court while working with us ‘behind the scenes’ to advise you, review and draft documents, etc. Additionally, I promise my clients that I will never charge either to discuss billing issues, or to discuss any concerns you may have with how your case is being handled or about any member of my staff. Don’t play if you can’t pay. Having practiced divorce and family law in Pittsburgh for around a quarter-century, I have no illusions about what I cost or how that cost can add up. Consider, though, that putting money on account with a skilled divorce lawyer is like putting coal in a furnace. Do you want your lawyer engaged and oriented on your case, ready to negotiate but prepared to fight? Do you want regular updates that show your case moving forward assertively? Do you want promptly returned calls, detailed answers to your questions and creative approaches? Make sure that your retainer is maintained. We all like to be paid, and the simple truth is that a lawyer (like anyone else with a business to run) is far more eager to focus on serving the clients who pay him now, over the ones who offer even the most sincere good intentions. Don’t expect your lawyer to work for promises instead of pay. Would you? Prepare to stay the course. Getting a lawyer started on your divorce and then balking at payment (or running out of resources, which amounts to the same thing) can be the courthouse equivalent of trying to ride a roller coaster halfway. If you have any doubts about your fortitude, available resources or willingness to follow through with what you start, discuss them with your family law attorney before you get on the tiger’s back. Goals can always be subject to change, of course, but anyone who goes into a fight without a reasonably-defined set of goals is setting him- or herself up to lose, and lose badly. Let your lawyer help you set realistic, achievable goals and explore your options. Abandon the concept of “winning” and replace it with “achieving.” Battling without a goal, or with conflicting goals, is like a racing without a finish line; it may be good for your lawyer’s wallet, but not for much else. Your divorce lawyer understands that your resources are limited and will discuss with you how best to use them, but can’t – and shouldn’t – turn into a credit card for you. He or she is running a business and not a charity, and almost certainly will not accept installment payments. Don’t take it personally. No family lawyer with any mileage in him has avoided being stiffed by a client at least once. I have had clients turn deadbeat on me for whom I achieved every last goal, and many years ago I even had a client who tried to pay me in chickens. Sadly, my bank would not let me deposit them. Work for sunshine, but plan for rain. Gather your resources. Expect your divorce to cost more than you think, and do your best to make sure that funds are available. Discuss with your divorce lawyer any concerns about your available resources as early as possible so that he or she can advise you of your options before you find yourself overcommitted. I often tell clients, “I can be your sword-and-shield, or your broom-and-dustpan.” In my experience, clients who follow my advice do better than clients who do not, if for no other reason than that there is less to clean up if everything is done right the first time. Don’t force your lawyer to become your apologist. It is seductively easy to fall into the trap of defiant non-cooperation (after all, where was the cooperation when you needed it? ), but the fact of the matter is that any divorce process has a give-and-take that is part of the ticket price you have to pay to get your day in court. Your legal fees go up with every reminder your lawyer has to send you, and with every defense he has to make to buy you additional time or to shield you from sanctions. Ignore what prime time television teaches you about law practice. I’m as fond of real-life courtroom drama as any of my colleagues, but most of a good lawyer’s efforts in a divorce case are as undramatic as can be. We prepare, consult and negotiate. We investigate. We organize, digest and summarize records. We consult with you, update you, and answer your questions. We research and draft documents as we prepare your case. All of this takes billable time, and meanwhile it is easy for a client to think, “I’m paying all this money, but I don’t see anything happening in my case!” Think of building a case as building a car engine: inert while it is being built and invisible to the rest of the world when it is finished, but swift and powerful when the time comes for rubber to meet road. Your lawyer should be keeping you up to date and also touching base with you as your case develops, as well as seeking ways to avoid expensive conflict. If you have any doubts or concerns about what is going on in your case, you have every right to contact your lawyer and inquire. A good divorce lawyer will be glad for your active involvement, will respect your concerns, and will address them directly. Avoid getting into conflict with your own divorce attorney. An adversarial relationship with your lawyer helps no one and can run up your legal bills pointlessly. If you don’t understand or agree with what your lawyer is doing, discuss it. Part of your lawyer’s job is to address your concerns, and to make sure that you have as much information as possible so that you are best able to make sound decisions. Sometimes, that means telling you a harsh or painful truth even if it is not what you want to hear. People who have been wronged by the ones they trusted most of all never want to be told that their goals are unachievable or that their positions are unsustainable, but the divorce attorney who hesitates to advise a client frankly does his client no favors. As a professional, I want to offer you better advice than you might get from the person on the next bar-stool! Lawyer-client relationships can sometimes go bad, just as any other relationship can. Sometimes the lawyer is the problem, sometimes the client, and sometimes it is just bad chemistry between them. First, foremost and always your case is yours, and your lawyer should respect that even as he or she tries to make sure that your choices don’t leave you standing in your own way. If you are not comfortable with your lawyer or his choices, never forget that you are free to seek a second opinion or even to hire another lawyer entirely. Before you do that, though, consider reality-checking your own impressions and conduct to make sure that “changing horses” really is the right medicine for the situation. Keep communications with your lawyer topical and to the point. A good divorce lawyer wears as many hats as his client needs: counselor, advocate, confessor, friend, confidante, hand-holder, shoulder to cry on, sounding board, and occasionally (and reluctantly) a janitor. It all comes at a price, though, so each time you contact your lawyer remember that somewhere in the background a clock is ticking. Don’t engage in false economy by rushing through a call, but do keep good records, take good notes, and keep your communications concise and to the point. I like to build relationships with my clients and am often happy to chat with them, but I always make it a point to tell a client that I am taking myself “off the clock” as soon as the conversation turns in that direction. If your own lawyer seems to be drifting into chatter, there is nothing wrong with asking to keep the conversation focused on the business at hand until it has been fully addressed. Save money today by riding on bald tires, and you risk paying more tomorrow when one of them bursts or hydroplanes you off the road. It’s the same with legal advice. Even if you cannot afford a lawyer to work for you as an advocate, consulting with someone who deals every day with family law matters is likely to offer you new perspectives, suggestions and possible solutions that will help ensure that when you make your move, your eyes are fully open. One of the very best things any client can say to me is, “Wow, I never really thought about it that way.” Sometimes, an ounce of prevention really is worth a pound of cure. There are times when it seems that what my client needs most of all is a time machine, so that we can discuss a difficult situation before it escalated into a crisis! If you need legal assistance with your divorce or family law matter in Southwestern Pennsylvania, call my office to set up a personal consultation with a Pittsburgh divorce attorney, and to learn more about what to expect during divorce in Pennsylvania. Please do not comment anonymously, and do not post anything that you consider confidential. We try to be responsive to commentary and questions, but know that posting here will not create an attorney/client relationship and that we will not offer legal advice via the Internet.